Often you find places in Tokyo that kind of seem old, but are not actually that old. 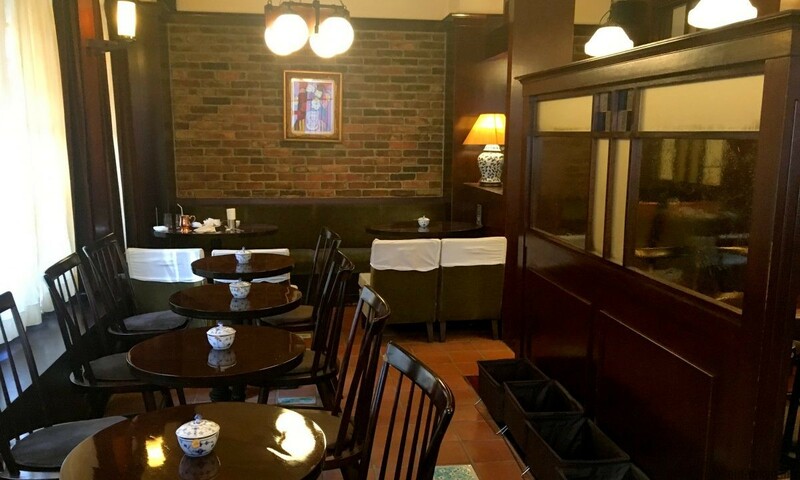 Tsubakiya coffee is a perfect example of a re-created Taishō style cafe. It started in Ginza and grew into a small chain with 40 cafes in and around Tokyo. The flagship cafe is located on a shopping street that used to be called after the Japanese camellia flower (tsubaki means Japanese camellia). The cafe is not all that easy to find though, only a staircase leads to the cafe that is located on the second and third floor (the second floor is the non-smoking floor). This cafe was started in the late 1970s, re-creating the Taishō-roman style. During the Taishō period (1912-1926), eyes were focused on the 19th century European Romanticism, which provided inspiration for the styling of buildings and fashion in Japan. This cafe lets people relive this style and due to its popularity, more cafes were opened in and around Tokyo. One of the main attractions of this cafe is that it provides a very cozy atmosphere where you can spend some time to relax, no need here to keep ordering more, just stay as long as you want. 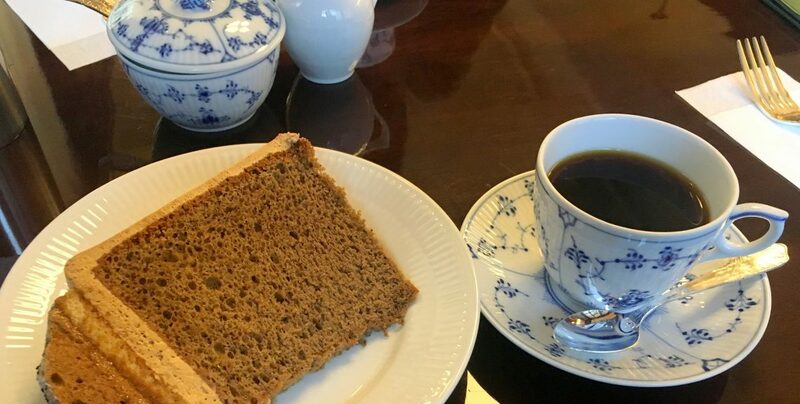 The coffee is served in Royal Copenhagen porcelain and the coffee is made with a siphon and tastes very good. All this comes with a hefty price tag of nearly JPY 1000 for one coffee, with refills available for JPY 300. The coffee is served by waitresses wearing a maid uniform and hence it is often called the original maid cafe before any of the akihabara maid cafes became popular. Mind you, this was way before the otaku-style maid cafes were started around the start of the 21st century. Do not expect any type of maid service though, this is a normal place, perfect for a long conversation or reading a book. Tokyo offers more cafes following the Taishō-roman style such as Ginza Renoir, but Tsubakiya coffee is by far the most classy one around. This article was updated on 7 April 2018. When to best visit? All year round. Why visit? Enjoy the rustic Taishō roman styled interior in an atmosphere that is more relaxed and quiet than one of the regular coffee chain stores.